From Tuesday November 15th to Thursday November 17th, Contship will take part in Intermodal Europe 2016 in Ahoy, Rotterdam. Companies associated with the container and intermodal industries will be present at the event, from all areas of container transport and road, rail and sea transport logistics. Contship will be at Intermodal Europe in Ahoy, Rotterdam at booth D74, together with its Multimodal Transport Operator, Hannibal, to showcase its port to door integrated offer. The Contship team will also provide partners with all the recent news related with its rail transport services for continental cargo in Italy and beyond the Alps via Rail hub Milano, the large intermodal logistic center located in the most important Italian economic area. A specific focus will be on the new available opportunities for the Swiss trades exchanged with Asia and the Americas via sea, following the recent infrastructural developments in the Gotthard and Hannibal’s commitment to efficiently serve this market segment via southern gateways. In Rotterdam, Hannibal will also showcase the recently enhanced service from Melzo to Duisburg and VV operated in partnership with Samskip Van Dieren and Shuttlewise, currently 3 R/T per week, expected to soon increase to 5 R/T per week. 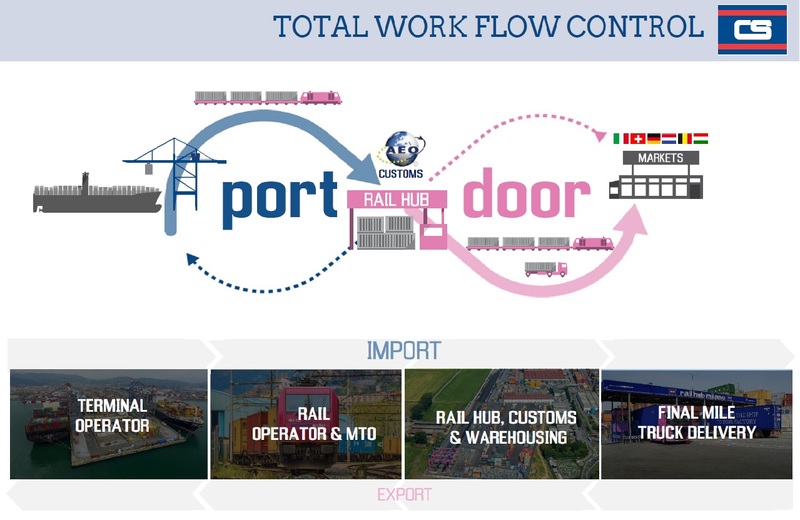 The service offers direct access to the wide range of connections from/to Melzo RHM and from/to Duisburg Samskip Multimodal terminal. On November 15th, Contship will also participate in the official conference program with a speech by Daniele Testi, Group Marketing Director (10,30 AM, Theatre 2) showcasing the role of Rail Hub Milano in enabling the effective functioning of the Southern Gateway alternative. The Marketing and Sales teams will be present to meet actual and prospect customers, to talk about business developments and new opportunities, with a focus on the Swiss trades and southern gateway alternative. The fair will also be a great opportunity to discuss and exchange new ideas on the evolution of the competitive scenario, the introduction of new technologies and the disruptive changes in the buyer’s journey, brought by the widespread implementation of innovative digital tools. Get in touch to schedule a meeting, or you are welcome to drop by at stand D74 for a coffee!